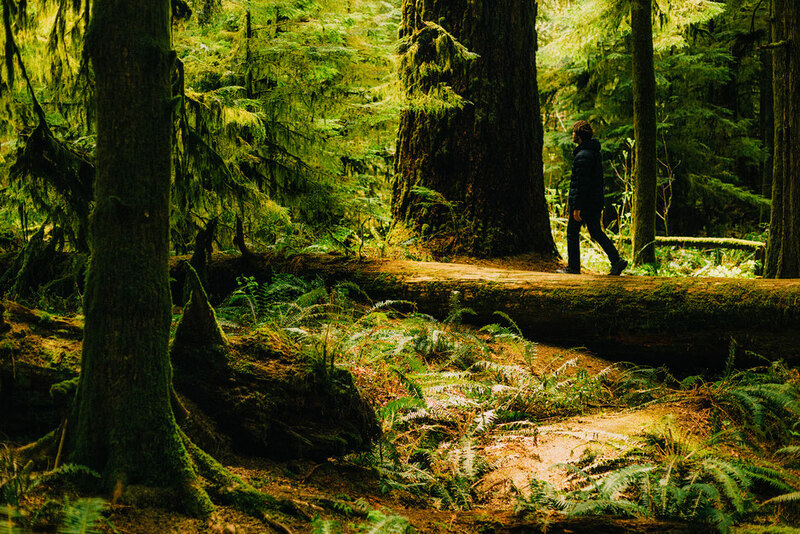 Covered in lush temperate rainforest, surrounded by pods of killer whales, inhabited by very few humans and resident to many genera of flora and fauna, Vancouver Island is a beautiful introduction, or farewell, to your road trip around Canada. 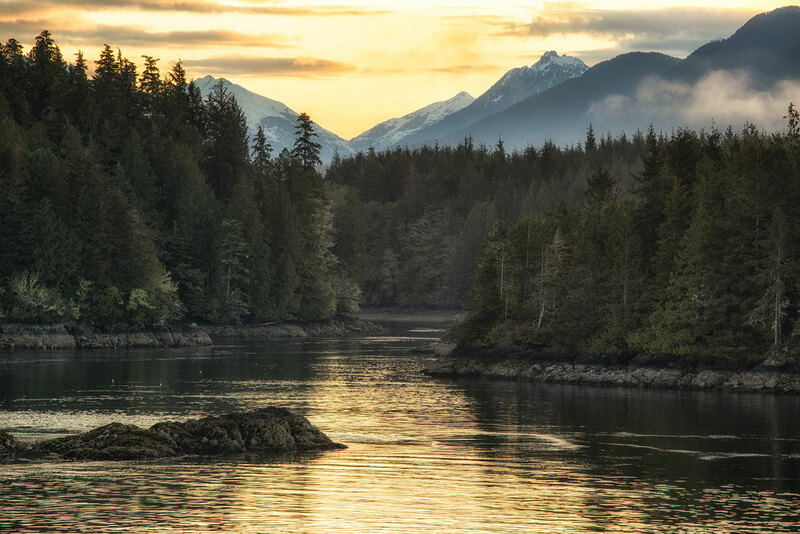 Vancouver Island lies around 30 nautical miles off the coast of British Columbia’s largest city - Vancouver, hence the name, and has been a popular tourist destination for many decades. What draws most people to The Island, in my opinion, isn’t the inland mountains, which by the way are much grander than I thought they’d be, but the relaxed coastal lifestyle, the surf and the late night bonfires on the beach. 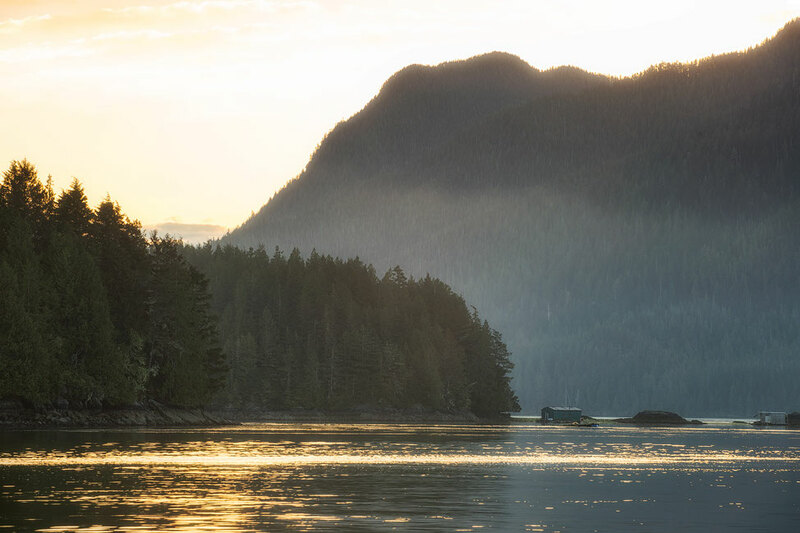 Vancouver Island covers an area of 31.000 square kilometres and is home to around 750,000 people, more than half of which live in the south, near the BC's capital Victoria. Although Victoria has its charm, if you’ve only got a limited amount of time, it’s not somewhere I’d really recommend. 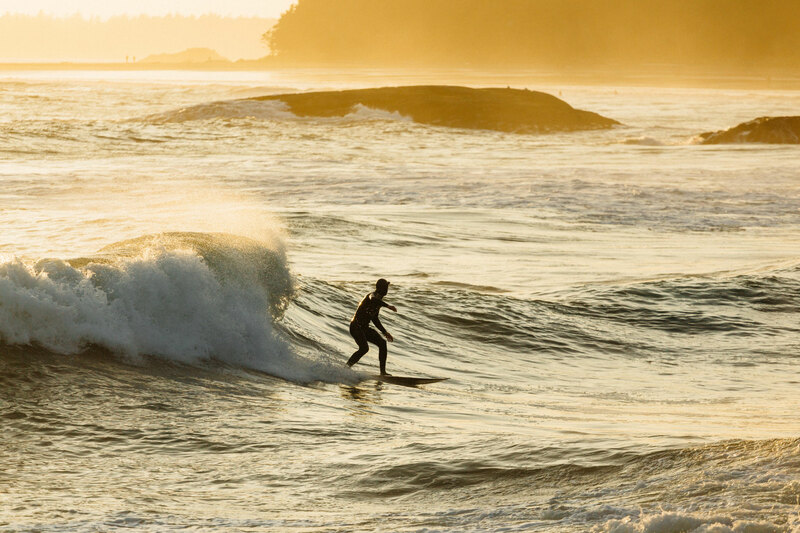 The highlights of the island are further north in the rainforests and on the west coast, in particular Tofino and that's where you should aim your focus at. 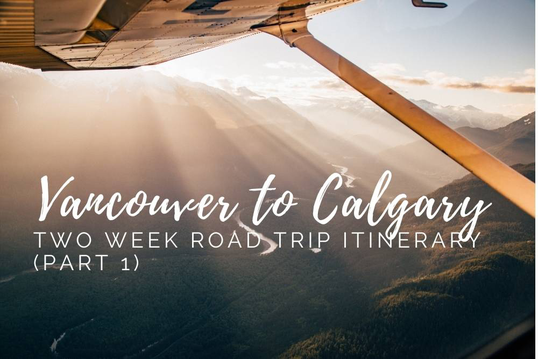 If you are road tripping across Canada and starting or ending your trip in Vancouver, consider adding few more days to your itinerary for a side trip to Vancouver Island. The best way to get around the Island is by campervan. It gives you the freedom of being in the right place at the right time without having to worry about hotel bills. The best place to search for camper vans is on the most extensive campervan price comparison website Motorhome republic. Make sure you book your campervan well in advance! 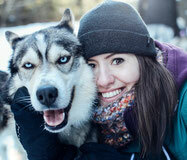 Canada is a popular destination for RV holiday makers! If renting a campervan isn't within your price range or you are not into camping just rent a compact car instead. I always use and recommend Discover Car Hire for that purpose. It's the worlds biggest car rental search engine. 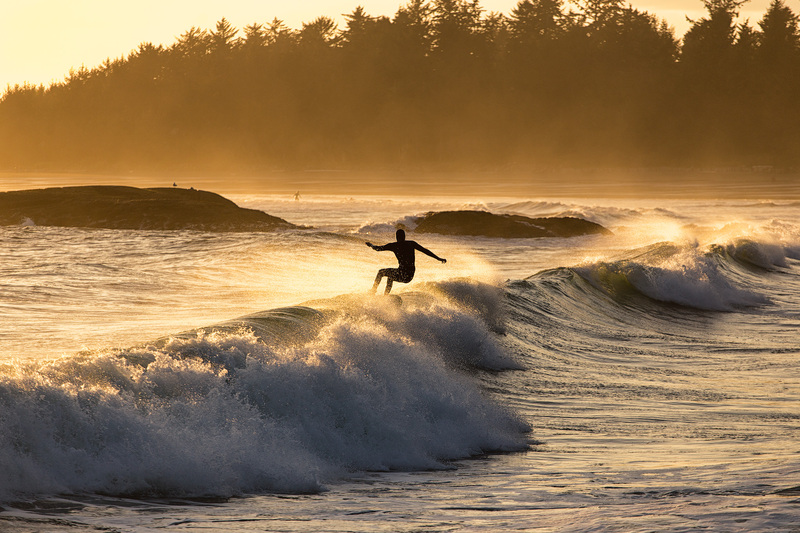 When is the best time to visit Vancouver Island? Vancouver Island can be partial to some pretty bad storms, most of which come from November to February. This is also the coldest time of the year with average temperatures flirting with freezing point (0C/32F). That being said it is quietest time of the year too. Off season lasts from November to April. Many of the shops, and most of the campsites, in places such as Tofino and Port Alberni are closed for the winter season. When the longer days start to bring warmth back to the Island and the darling buds of May start to blossom, the island springs back to life. The spring shoulder season of May and June are a great time to visit. The Island’s not that crowded and the wildlife is already out in full force. In the peak summer months of July and August you are going to get the most sun, least rain and beautiful long days, but because of this, you’ll find it hard to find some peace and quiet. Road side pull offs will be jam packed and parking will be difficult to find at times but I highly doubt you’ll care about any of this when the sun is beating down on you. After the summer rush everything slowly winds down in the shoulder season, from September and October. It’s still warm and the light still hangs around long enough to have a day’s worth of activities. Not a bad time for road tripping either. Below you can find the map of the itinerary. If you click in the top left of the map you will find separate layers marking the destinations, photography spots, hikes and accommodation. To hide and show different layers just click on the check box next to layer's name. You can also click on the icons on the map to see names of the places I have marked. I will be talking about them as I break the itinerary down day by day. You don’t have to drive through the centre of Vancouver to get there. 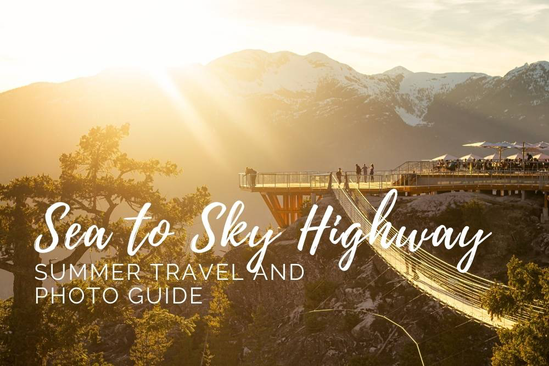 It gives you much better access if you plan on travelling along the Sea to Sky Highway up to Whistler after visiting Vancouver Island. 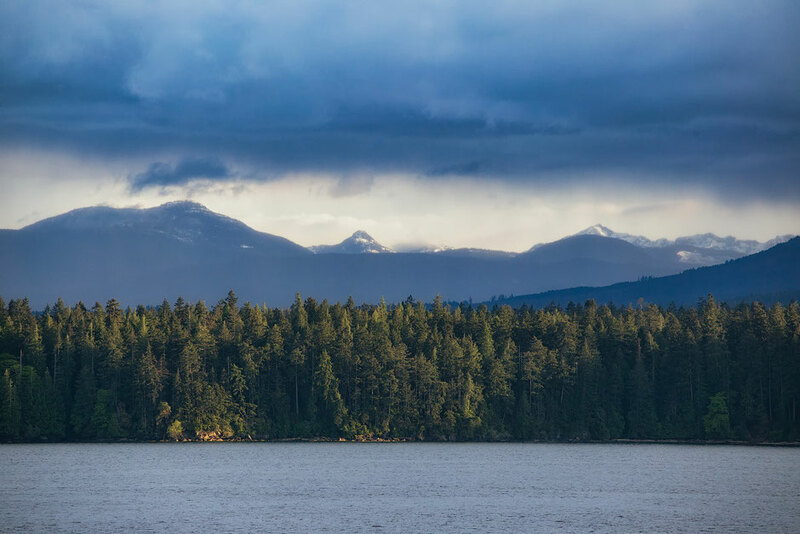 The ferry from Horseshoe Bay takes you to departure point in Nanaimo which is easier for disembarking and offers access to supermarkets in the area should you need to get some supplies for your road trip. The ferry, for two people, costs upwards of 90$CAD one way with a normal size car (less than 7ft/2.13m high and less than 20ft/6.1m long), with prices slightly increasing for larger cars and camper vans. You can make reservations, check prices and the timetables for all ferries from Vancouver to Vancouver Island on BC ferries website. I was travelling in the shoulder season and bought my ferry tickets right at the terminal. Only cash or credit cards were accepted. 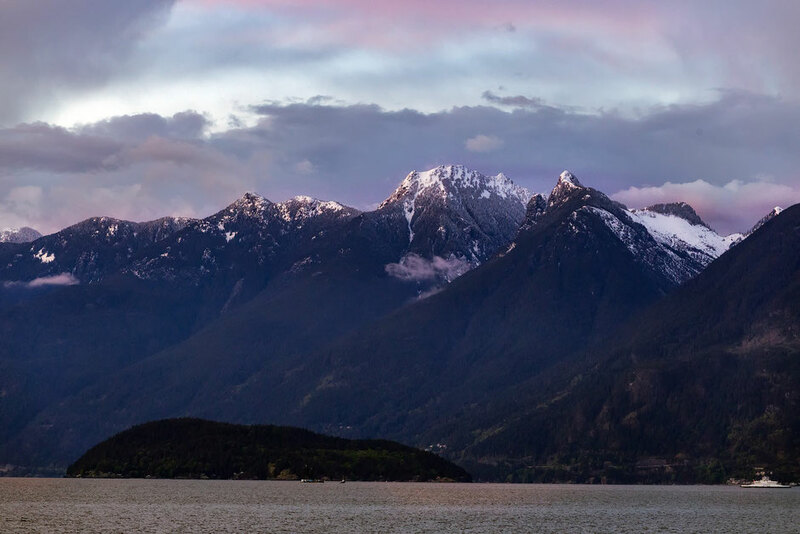 The ferry journey is really spectacular, if you’ve chosen to depart from Horseshoe Bay then you’ll be embarking in the Howe Sound (pictured above), sailing past Bowen Island, crossing the Salish sea and portaging just north of Newcastle Island Park. I couldn't help but notice the similarities between Howe Sound and Milford Sound in New Zealand. Nanaimo itself has some nice parks and restaurants but it wasn't exciting enough to keep me there for longer than a day. Aim at catching the earliest ferry, restock in one of Nanaimo's supermarkets if necessary and head straight for the scenic Highway 4, through the centre of the Island to Tofino in the West. After the initial excitement of the ferry this is where you’ll be left in awe of the spectacle of nature. Head North on Highway 19 until you reach the turn off for scenic highway 4. It is a stretch of 170 km (106 mi) pristine curvy road through the mountainous rainforest. 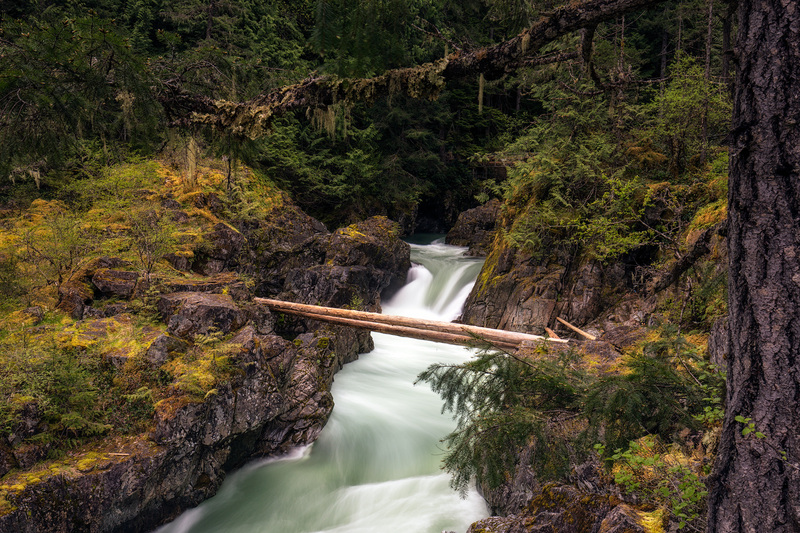 There are several stops you can make on the way to Tofino and back. 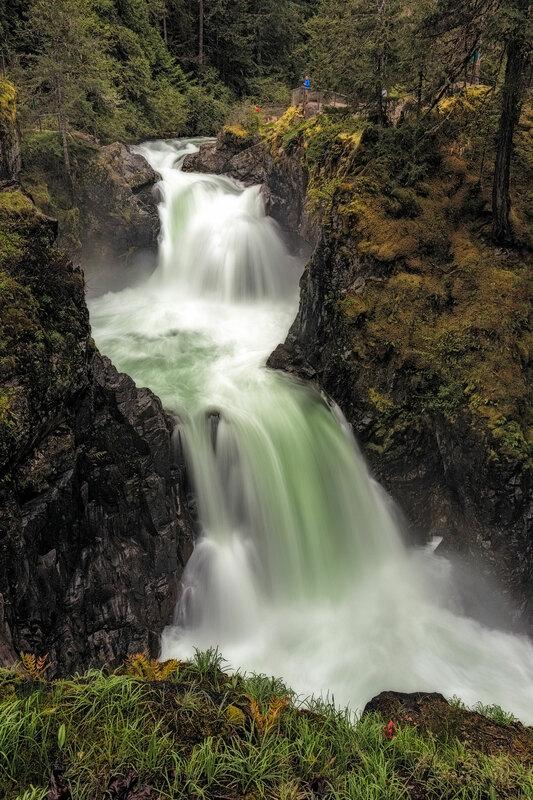 The park is home to several waterfalls most notably being the Upper and Lower Qualicum Falls. The walk around them, with stops for photos, could be done quickly. However, there’s no need to rush. Take it all in and give yourself at least an hour. It's a perfect spot to practice some long exposure photography of the waterfalls! 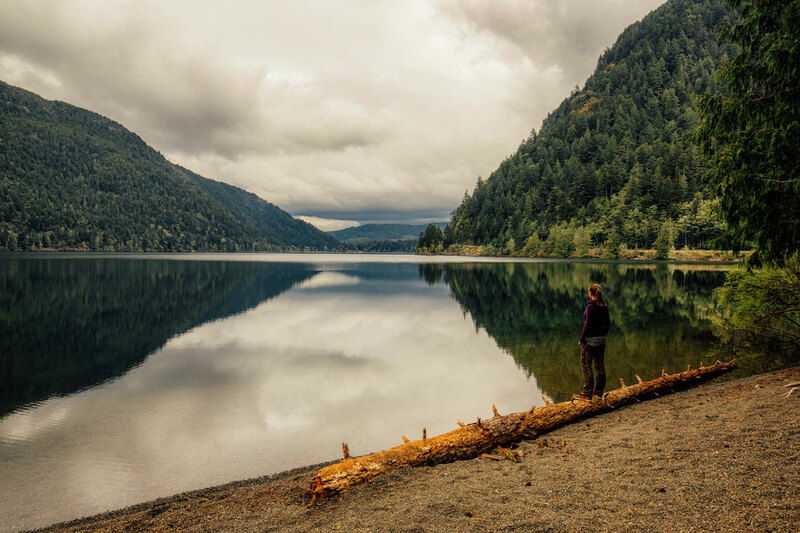 Shortly after you’ve had your warm up on that short hike around Little Qualicum consider stopping at one of the many viewpoints that straddle the shoreline of Cameron Lake. On a still day it offers reflections of the surrounding mountains. The next major stop along Highway 4, at the western tip of Cameron Lake, is MacMillan Provincial Park. It’s only a small park but it sure packs one hell of a punch. 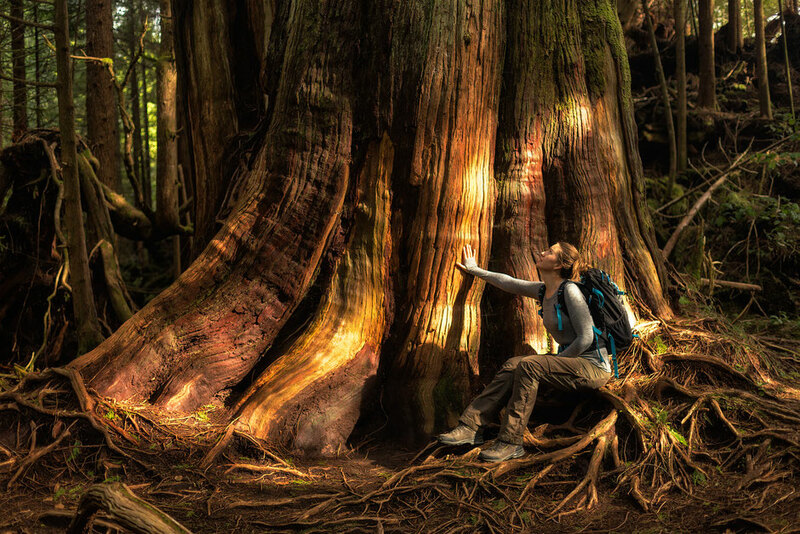 It’s home to an ancient Douglas-Fir forest, known as Cathedral Grove, which was shortlisted as being one of the seven wonders of Canada. Although I wouldn’t go that far, it is pretty impressive. 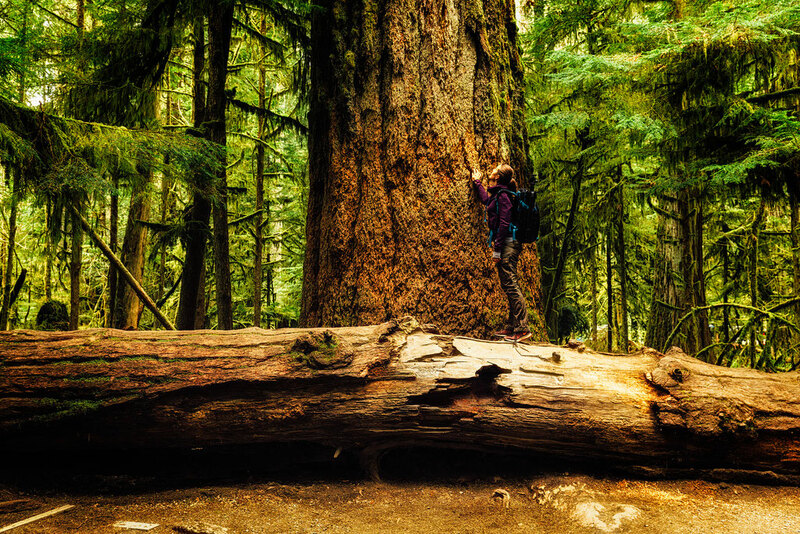 Some of the trees are over 800 years old and almost 3m in diameter!! Bear in mind that parking next to the Cathedral Grove trailhead is right by the main road and it can get pretty busy, especially in the peak summer months. 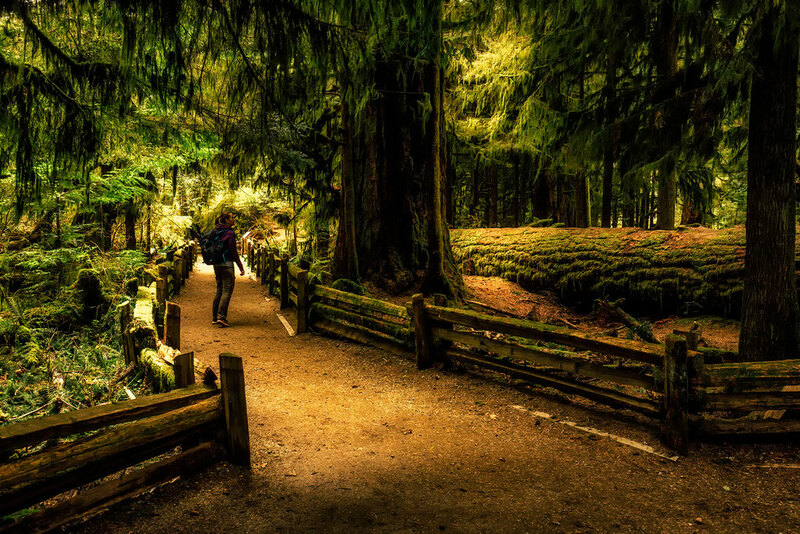 After Cathedral Grove, continue along on your epic road trip. You should be close to Port Alberni. A super place to have some food and take a short stroll to The Hole in the Wall Waterfall. Man made by blasting through a wall of volcanic shale the hole in the wall was a means to reroute the towns water supply. Generally speaking I’m against human interfering with nature but this turned out pretty photogenic. 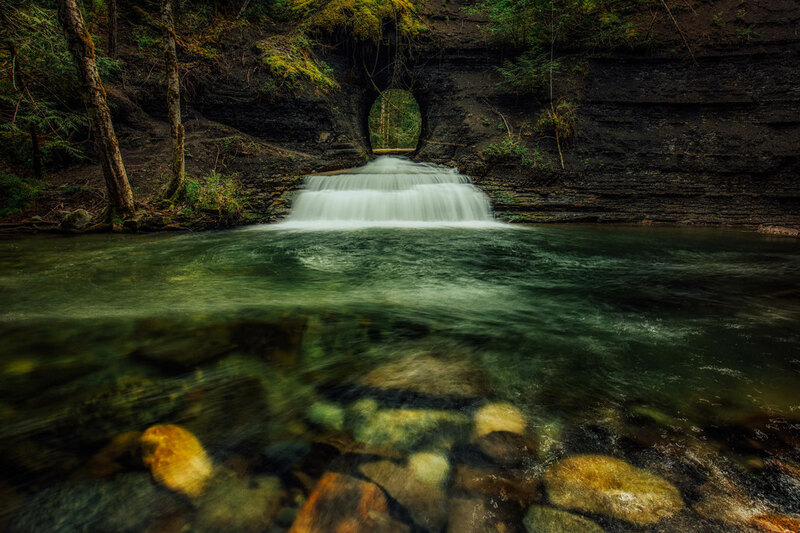 The waterfall can be tricky to find. Once you get to Port Alberni follow the signs for the visitor centre where you can pick up a detailed map that will lead you straight to the waterfall. After Port Alberni the road then continues to wind through the mountains stopping at various viewpoints such as Sproat Lake and Kennedy Lake. It's a bit like a roller coaster ride so make sure to keep your eyes on the road and stop only at designated pull outs. Once you get to the West coast, it’s a short drive north to Tofino through Pacific Rim National Park Reserve. 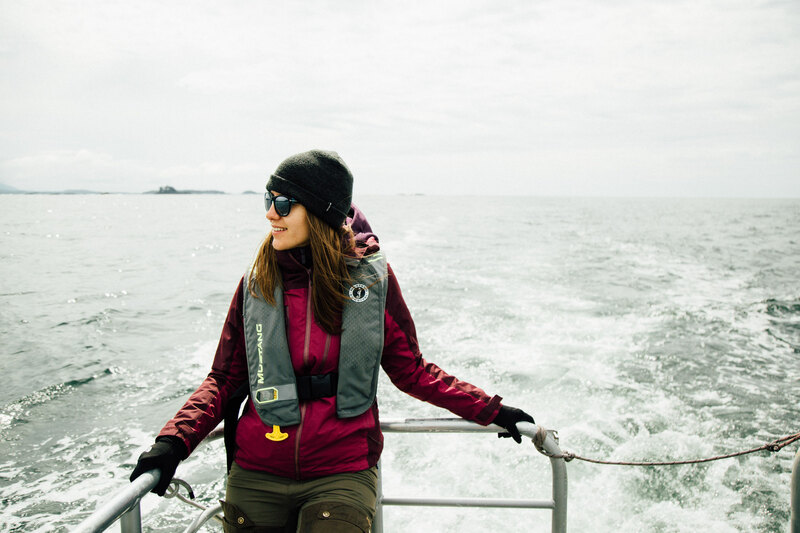 Tofino and the surrounding islands were once small fishing villages inhabited only by the First Nations. Peaceful places where the local communities only took what they needed and left the rest to flourish. We could learn a lot from the way they used to, and still try to live. Today Tofino is mostly known for being an awesome surfing hub and popular tourist destination. It's rife with coffee bars, restaurants, hotels and tour operators. With that said it has still remained it's charm of a tiny harbour town, so don't be put off when I say it's touristy. Speaking of tour operators. Most of them offer 3 different kinds of specialty tour. Bear watching, whale watching and hot springs tours. They all cost roughly the same amount of money ($100 per person). I have opted for the tour to the hot springs cove with a local company called the Whale Centre and was it the right choice! By choosing the latter I felt like I had just shot not two but three birds with one stone! Here is why. On the way to the hot springs, which takes 90 minutes by boat btw, we spend some time looking for grey whales. As luck would have it we found 2 of them hanging out in one of the bays. We watched in awe as they resubmerged to catch a breath few times. Our tour then continued to the hot springs cove. Upon arriving we hiked for 20 minutes through one of many beautiful rainforests on the Island. The natural hot springs were a delight. 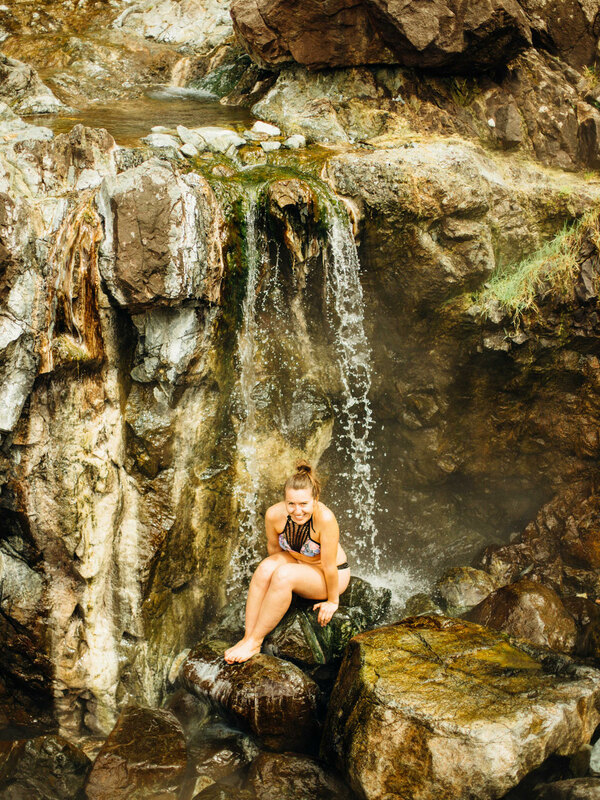 The water temperature oscillates around 40-45 degrees year around and there are few different pools where you can soak until it's time to leave. Because we were one of the first ones to arrive, the area was peaceful. However as we were getting ready to leave it got busier and busier. A tip from me would be to go as early as possible. 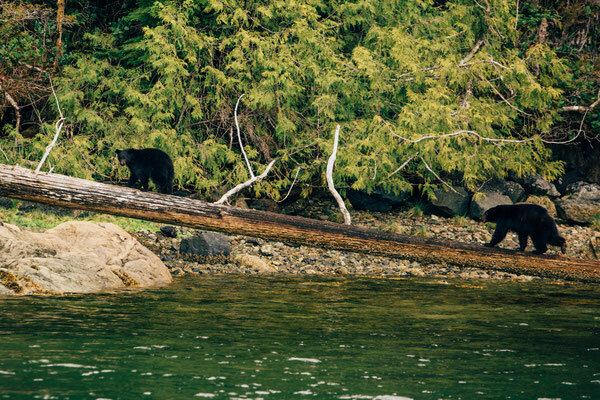 During the return journey our captain, born and raised on one of the little islands around Tofino, managed to spot mama bear with two small cubs hanging out on the shore, a lone wolf right on the beach and a sea otter playfully cleaning its fur as we drove by!! Now you know what I mean when I got 3 tours in 1. 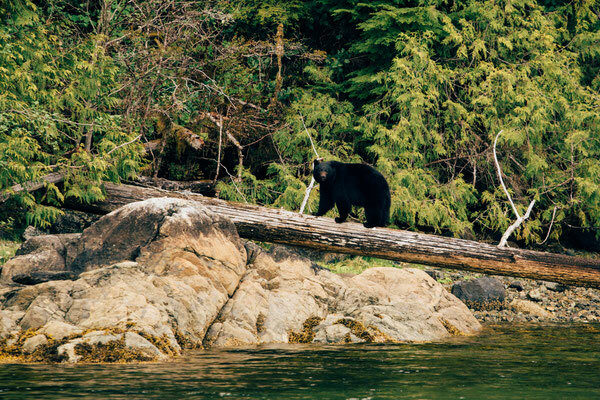 It's true that we were pretty lucky, but to be honest wildlife appearances are very common on Vancouver Island hence I won't be surprised if you see some on the way if you decide to do the hot springs tour! The professionalism and contagious enthusiasm the stuff at the Whale Centre showed us, made it really easy for me to recommend them. For the hikers amongst you with an extra day to spare, there’s an awesome trek to the top of the mountain near Tofino, called the Lone Cone. 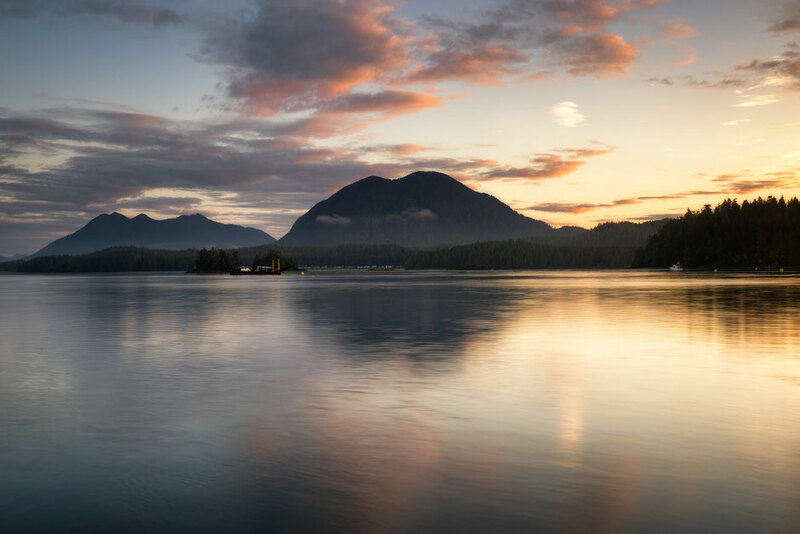 The peak is located on the Meares Island to the north, right across from Tofino and should take around 4 hours return to complete. There’s a campsite/hostel on the Meares Island, that offers free water transportation if you choose to stay with them. You can also pay for a water taxi to get across. It costs $40CAD per person for a return trip. The ride only takes few minutes and operates on a telephone request basis. The trail to Pettinger Point heads out toward the beach. 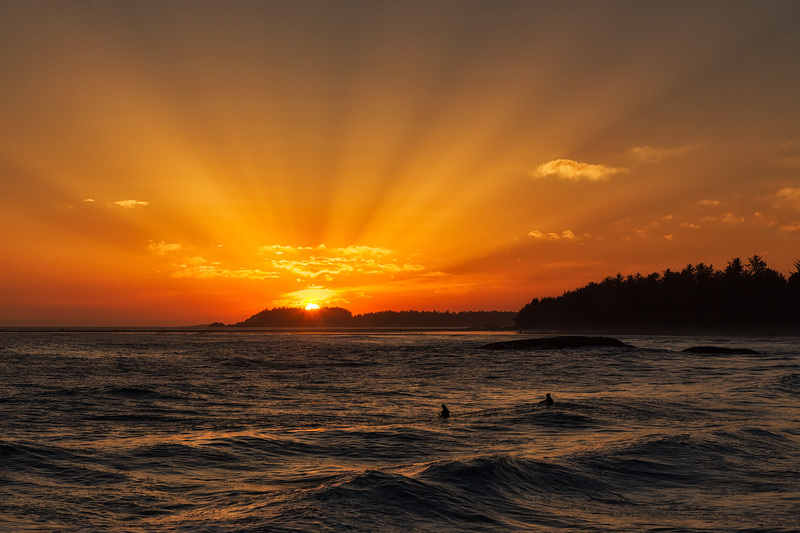 The view from the much larger outcrop is a fantastic spot to watch sunset or surfers waiting for the perfect wave. It should only take you around 15 minutes to get from the road to the point but you could easily spend a few hours there, like I did ,watching the world go by. To access the viewpoint park your car on a public parking lot near Cox Bay Resort, across the visitor centre. Walk towards the beach through resort grounds. Once at the beach turn right and walk towards forest until you see a path. The path will take you to the rocks where you can find a spot to sit down and watch the sunset. The walk will only take 15 minutes one way, but I would recommend taking sturdy shoes when walking on the rocks. There’s loads of hikes and paths in Pacific Rim, most of which are short affairs that end up on the beach. The national park, which hugs the western shore line receives a lot of precipitation, about 3000mm a year to be precise, which is caused by the coastal mountains. As a result the catchment area is flooded with continual moisture culminating in a dense lush temperate rainforest and many marshes and bogs. 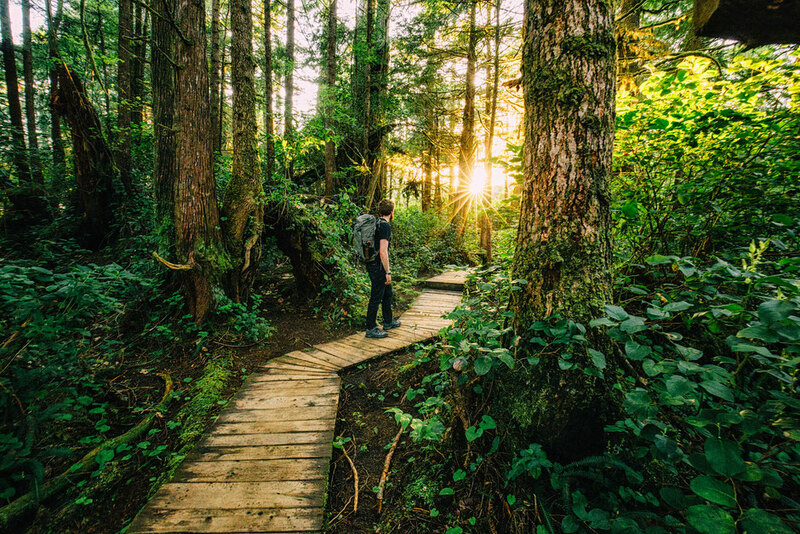 Before you set out on a walk, I would recommend stopping at Tofino's visitor centre, where you can pick up an awesome map with trail descriptions and the trailheads conveniently marked on it. Best at low tide the Schooner's Cove trail heads through thick scrub before emerging out at the north point of Long Beach. Directly in front of you will be a small outcrop, possible to walk around. This is only doable at low tide, do not attempt it otherwise. On this outcrop crabs, starfish and sea enema are a common sight. Take some lunch to eat, whilst sitting on the rocks and listening to the sound of the ocean. 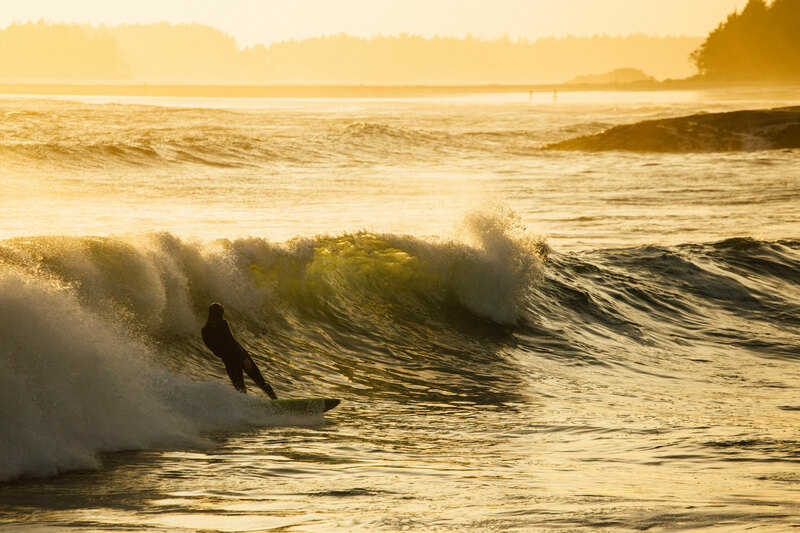 Check the tide times on the Tofino website. Inland from Long Beach the figure of eight track is located on both sides of the highway in two separate 1km loops. Both along raised boardwalks through thick foliage they offer a fantastic opportunity to take in the sights and smells of the area. The trail encompass 731 steps so is not as easy as a flat 2 km hike, but even with stops at the informative trail plaques and with photography opportunities, it should take no longer than an hour. After several rounds of freshly caught fish ‘n’ chips, many early morning coffees and hopefully some memorable sunrises and sunsets you’ll be reinvigorated with a new lease of life. The road back the way you came will be just as exciting as the first time you did it. 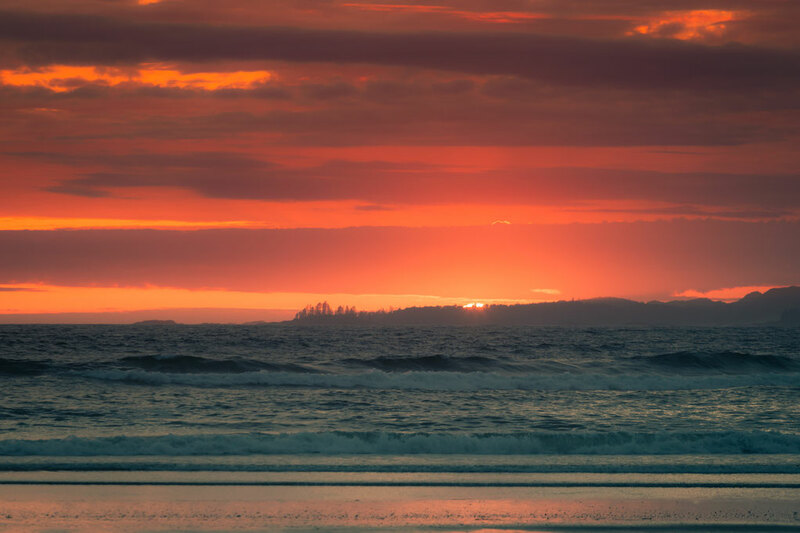 To drive non stop from Tofino back to Nanaimo should take around 3 hours and although it seems like you haven’t seen much of the Island, trust me you’ve seen the best bits. You also probably missed some road side pull outs as well so make sure to visit them on the way back along Highway 4. You can leave Tofino late in the afternoon and catch the last ferry from Vancouver Island back to the mainland. Carry cash. Because a lot of the cafes and other businesses in Tofino are only open 6 months a year they do not accept cards. The ATM's here are scarce and will charge you for withdrawal. Remember cash is king. Always carry bear spray. Unless you are visiting in the winter carrying bear spray is essential. Know how to use it as well. I've heard horrid stories of people thinking the spray works the same way as mosquito repellent. Here is the hint: it doesn't! You don't want your trip to end in a hospital. 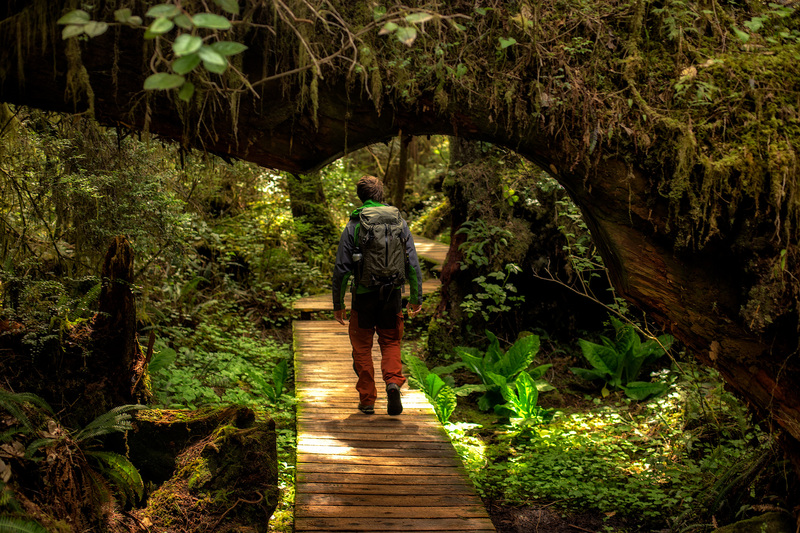 Pack a rain jacket with you on excursions as the weather can change quickly. What looks like a blue bird day can become rainy within an hour. After all Vancouver Island is known to be the rainiest place in Canada. 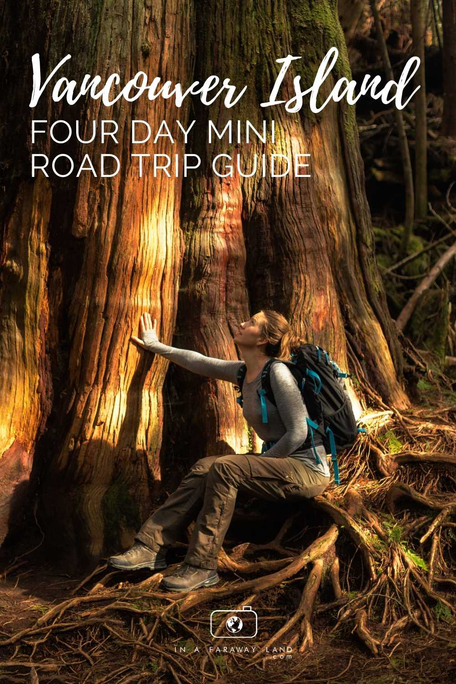 Useful travel resources for planning road trip around Vancouver Island. Discover Car Hire if you are after renting a smaller car, this is the best website for comparing the prices and booking one. Booking.com - my go to website for booking accommodation.